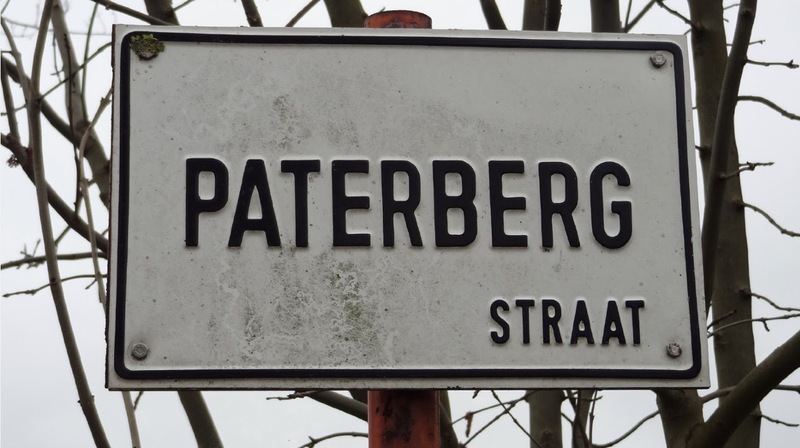 A day on the Paterberg - where the color of the cobbles match the sky. 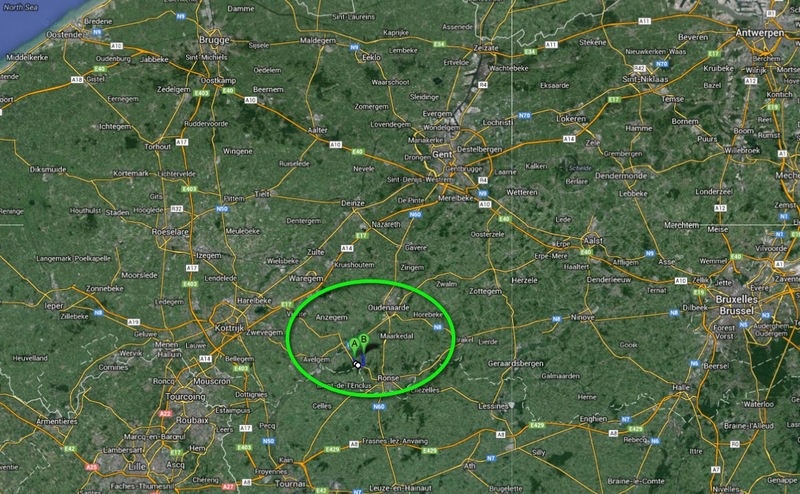 If this route map looks confusing, it's because it is! Location of Kwaremont and Paterberg pave sections, near Kerkhove, Belgium. 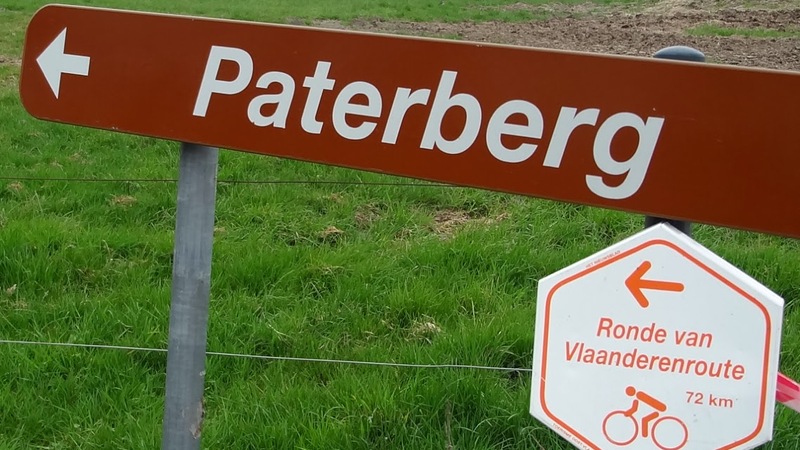 The Paterberg is a 0.38 km (avg grade 13.7%, max 20%) cobbled climb in the Flemish Ardennes of Belgium. 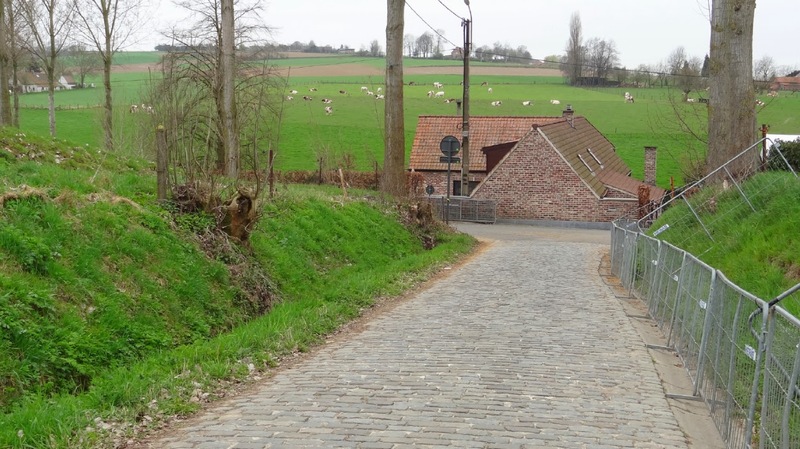 But the cobbles on this section are more than the distance covered, these cobbles will likely announce the champion of this year's Tour of Flanders (Tour des Flandres, Ronde van Vlaanderen, Flanders Finest) as it is the final climb of 2014. 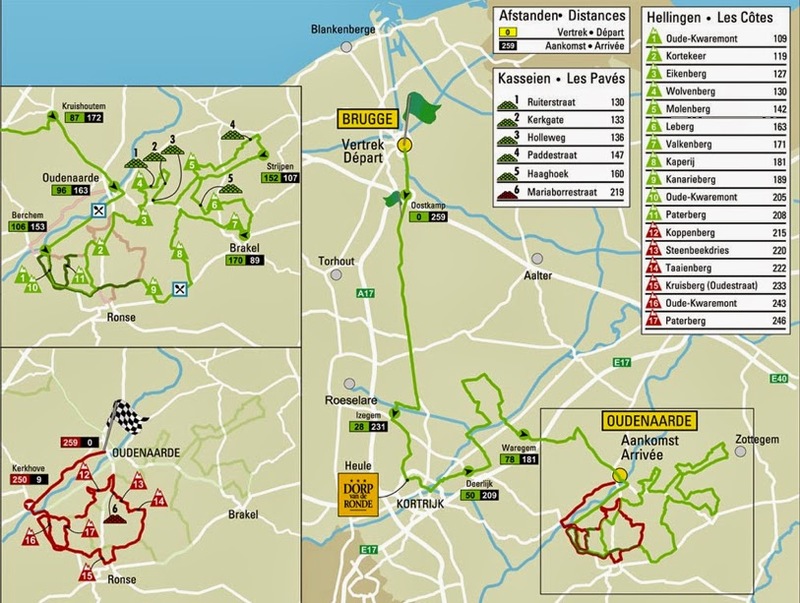 The route (or track as they call it) of the 2014 Tour of Flanders, 259km (161 miles), has been redesigned this year and will include the Paterberg twice. 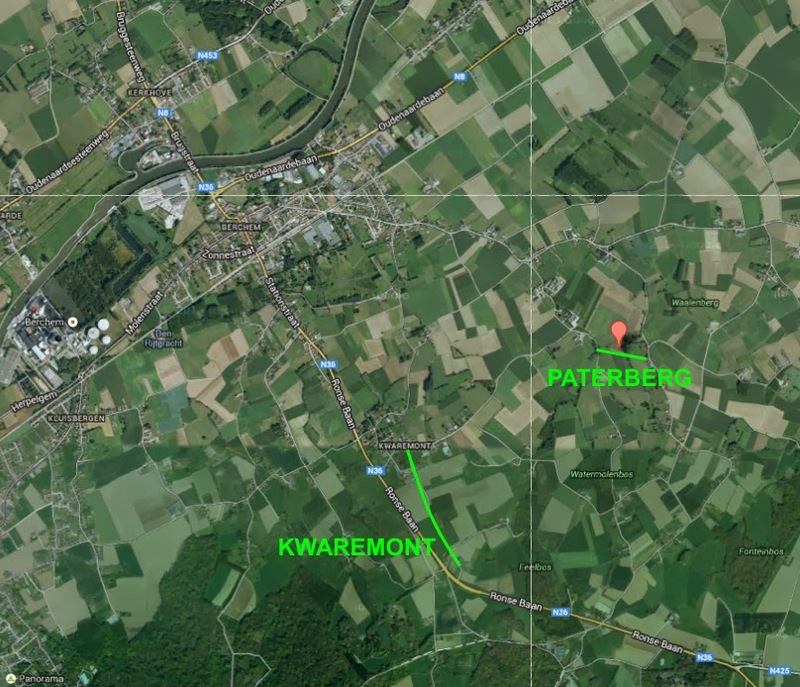 The first time the riders will see the Paterberg ahead will be at kilometer 208, the second and final time will be at kilometer 246, making this climb the final push before the finish into the city of Oudenaarde. 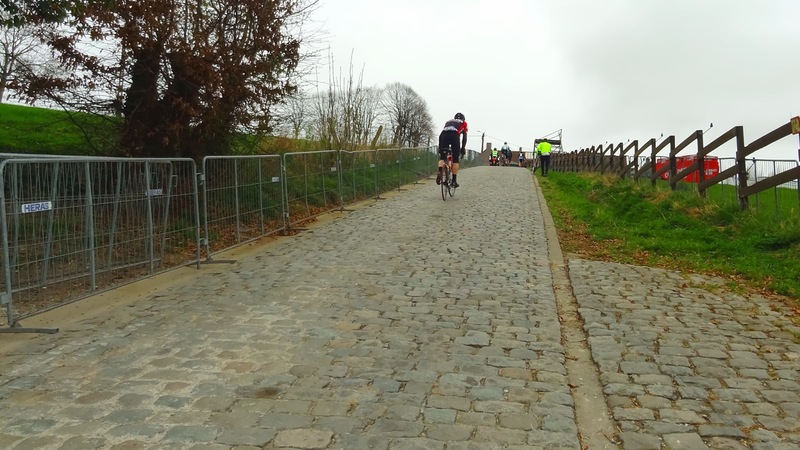 For an American, the cobbled climbs of the Spring Classics can be hard to understand or appreciate, I certainly didn't understand them until I went and saw them for myself. 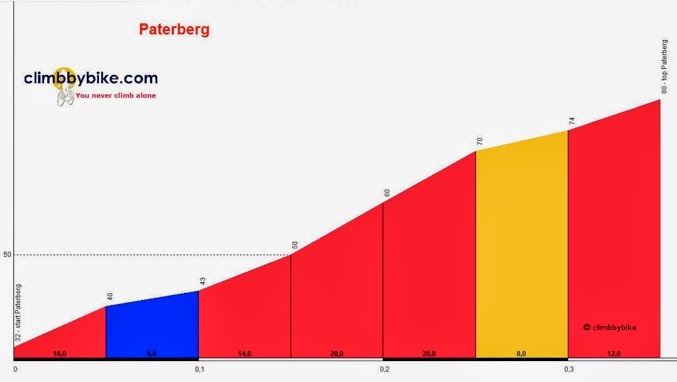 They aren't that long and don't appear that steep on TV, but trying to get and maintain momentum up these climbs is super hard. 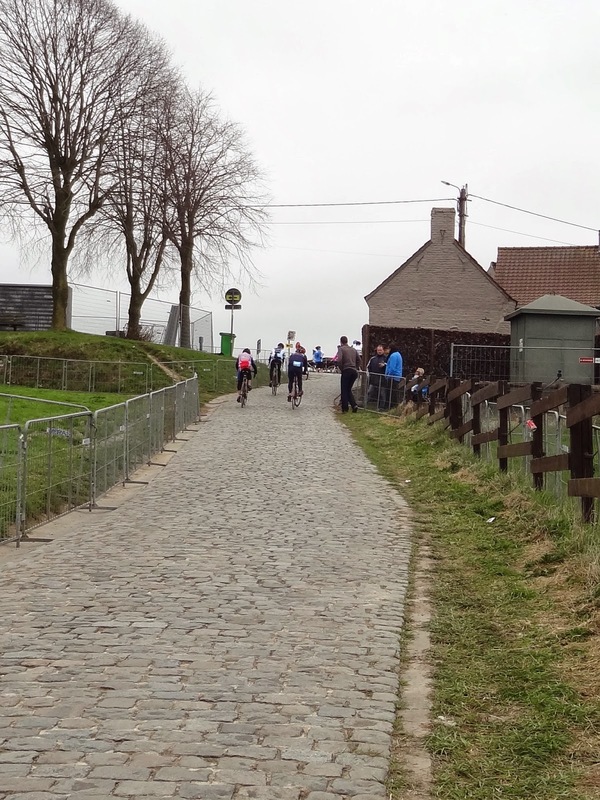 The cobbles are big, the ruts wide, the camber uneven, the pace unnervingly slow, the conditions often slick and the outcome somewhat unknown. 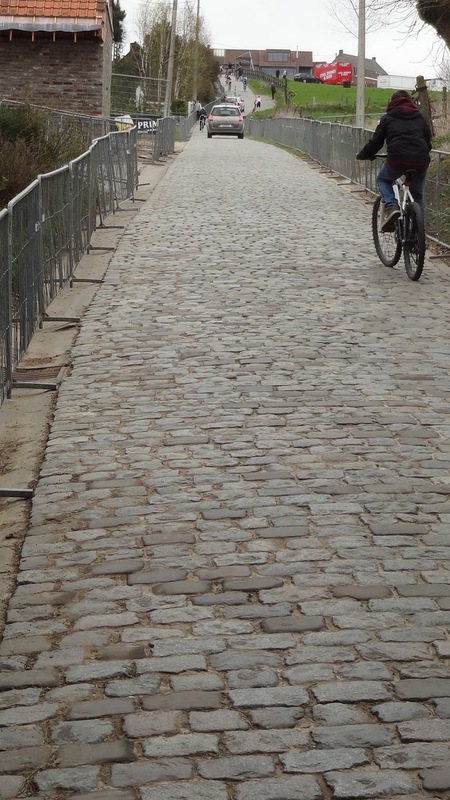 The approach onto these short cobbled sections often transition around a corner from pavement onto the harsh cobbles. The passage is narrow and you never know if there will be a crash or pile up ahead, being at the front is crucial. 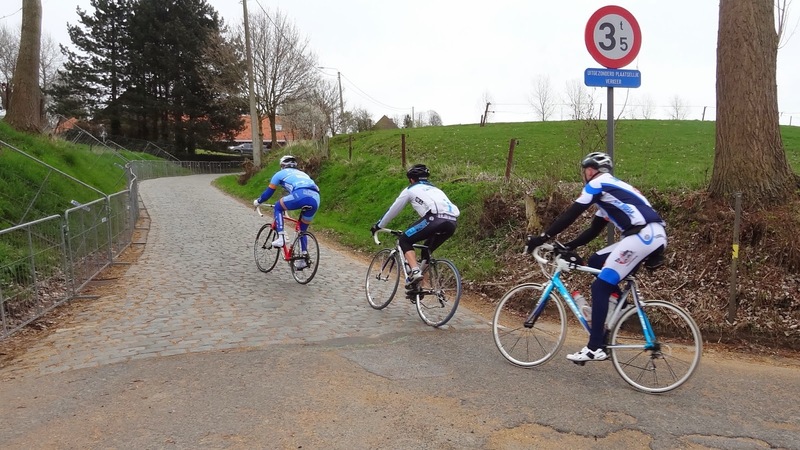 For the thousands of amateurs who will take on the route of the 2014 Ronde van Vlaanderen on their own during the citizen ride April 5, 2014 (Ronde Vlaanderen Cyclo http://www.sport.be/classicchallenge/1314/), they truly do not know what lies ahead, all they know is the challenge of these cobbled sections are real. It is the same for the pros where the bigger stronger men traditionally fare better. Here we go up the climb! The top looking down. The start pf the climb begins down the hill, short but sweet . I like this photo because there seems to be a tradition of stopping at the top and talking about the climb and feeling the accomplishment. This was the day before the citizen ride in 2012. So happy to have been there. 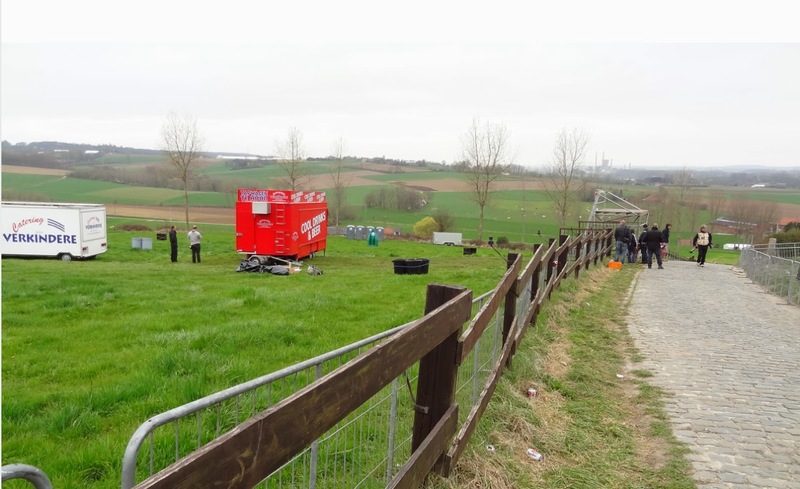 These fans were already in place two days before the Tour of Flanders race! 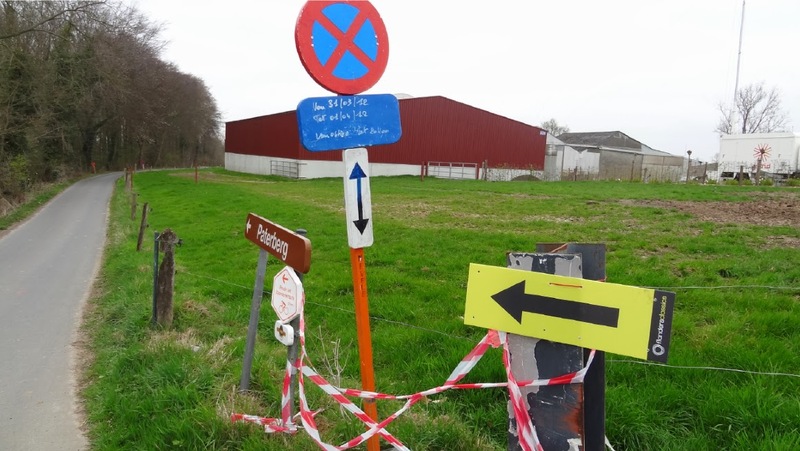 For years I had watched coverage of the Tour of Flanders and Paris-Roubaix and wanted to be one of those hardy fans huddled along the barriers. 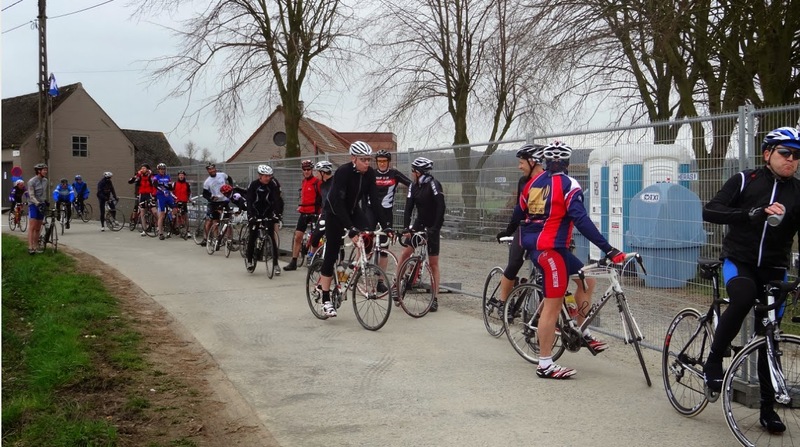 In 2012 I was thrilled to be in Belgium at the races, it was more than I had hoped for.